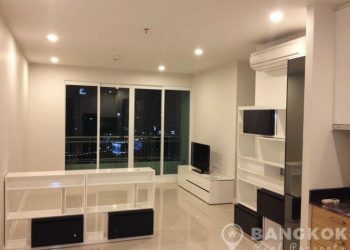 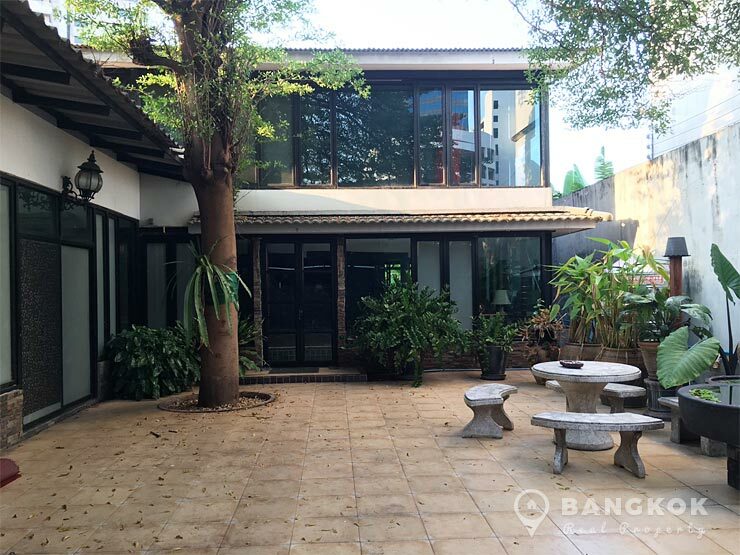 A modern, detached Rama 4 house with garden suitable as an office is available to rent just off Rama 4 Road near the offices of Channel 3 TV. 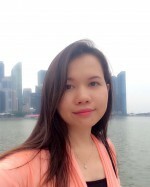 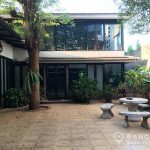 The property has easy access to Phra Khanong BTS, the expressway and much of Sukhumvit’s amenities. 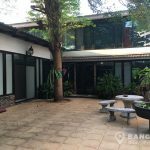 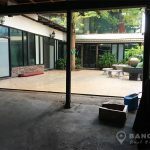 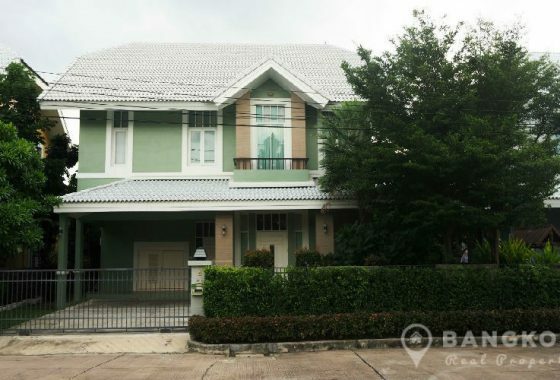 This Rama 4 house most suitable for use as an office sits on a large plot of 120 sq.wah and has 350 sq.m of space, 3 bedrooms, 3 bathrooms and garden with off street parking. 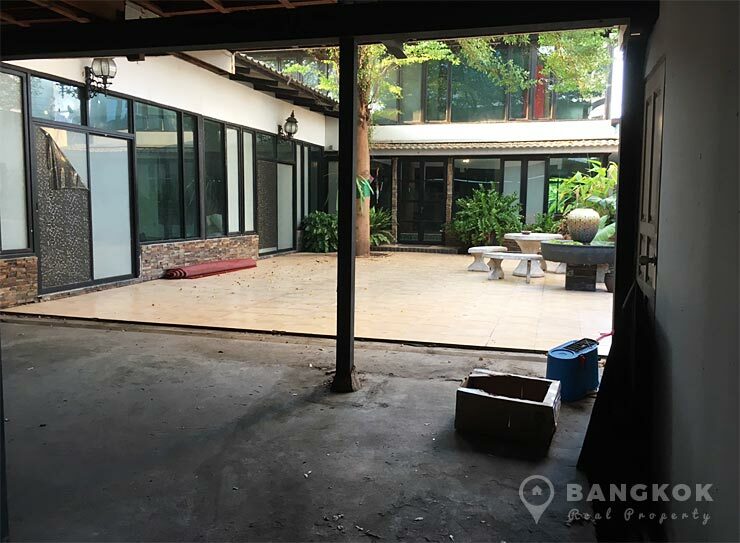 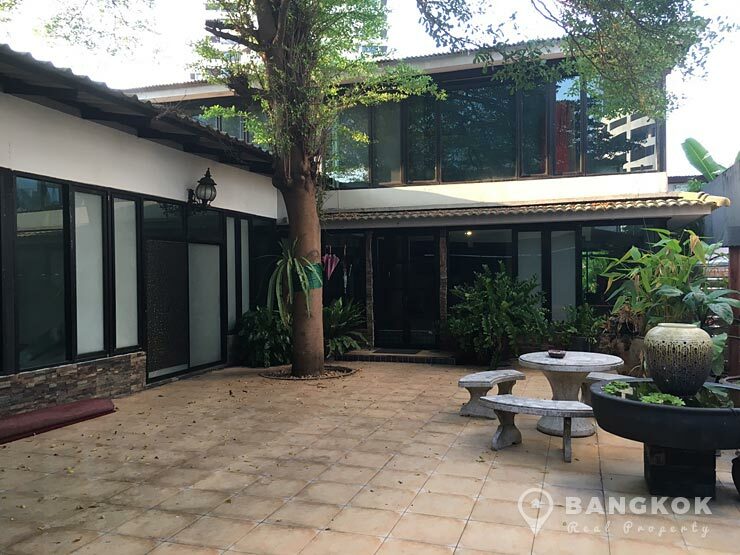 A detached house suitable for as an office on a plot of 120 sq.wah with 350 sq.m of space on 2 floors, 3 bedrooms, 4 bathrooms and off street parking with access to Phra Khanong BTS.